Being old enough to remember the Thatcher government has some advantages. I can clearly remember how the "right to buy" policy that enabled people to buy their own Council houses was a big hit at the time. For some families it enabled the aspiration of home ownership to be realised and it was understandably popular as a result. But as public policy it was a disaster and has directly contributed to the housing crisis we have today that leaves record number of younger people unable to own their own homes. This article in the Independent today is so good at explaining why right to buy is such a bad idea that I won't repeat it here. David Orr from the National Housing Federation also blogs about it. It was no surprise to me that during the debate on Grove Farm last night one of our younger councillors Olly Coles spoke convincingly about the need for affordable homes. This was from his own personal experience. He was completely right. Whilst I didn't agree with him that Grove Farm is the answer to the need for affordable housing, literally as we were debating, David Cameron was announcing a decision that could mean we don't get any affordable housing at all or if we do it ends up quickly sold off to private landlords or for profit. The government has dramatically cut the amount of money it gives to housing associations – as a result they are more reliant than ever on raising their own money to build houses. One of the main ways they do this is by borrowing against their existing housing stock and the future rents they bring in. Right To Buy would both run down associations’ existing stock and also make it difficult for planned homes to pay for themselves through rent in the long run. Associations would find it much more difficult to get credit to build homes. Far from helping people live the ‘dream’ of owning a home, Right to Buy homes that were rented out by councils often end up in the hands of private landlords – to whom tenants pay much higher rents. In London 36% of homes sold under Right To Buy have found their way into the hands of private landlords; in some boroughs the figure is even higher. Tenants have to pay landlords far high rents than they ever paid councils, and the rent goes into landlords' pockets rather than councils' coffers. 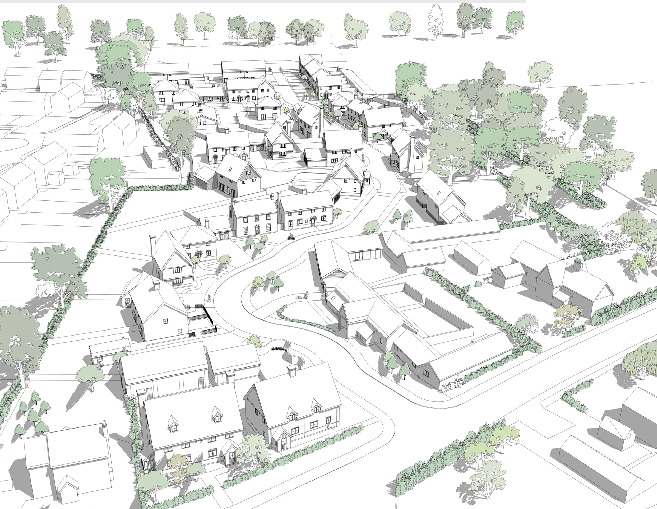 The nightmare scenario for Stradbroke is that a large housing development that even its supporters admit is opposed by most people ends up getting built but fails to deliver the affordable housing that is unquestionably needed. Tales of affordable housing being removed from plans at the last minute are not uncommon and if right to buy is introduced this looks even more likely. This isn't even a case of the law of unintended consequences. We already know what the consequences of right to buy will be. The government should not repeat the failures of the past. Locally we should be very wary of accepting something we don't really want in return for a sweetener that looks even less certain that it did yesterday evening. One of the most important parts of providing affordable homes in a rural setting is doing so hand-in-hand with the local community and the mutual understanding that these homes will be kept specifically for people from that community. If you extend Right to Buy to these homes, you cannot prevent them from being lost to the open market. At a time when rural communities are opening up and asking for affordable homes in their local area, this change could set us back years. How many communities are going to ask for affordable housing in their local area when they could be legitimately concerned that it would be lost almost immediately? We know too that the pledge to replace each home sold with another affordable home does not happen – in London the 2712 homes sold since the start of 2012 have been replaced by zero homes and it is the same in rural areas. These proposed changes could see many housing associations collapse. With less housing subsidy available to develop, associations have had to borrow increasing amounts over recent years – borrowing secured against their housing stock. If those homes then have to be sold at a discount, many associations will breach their lending covenants.